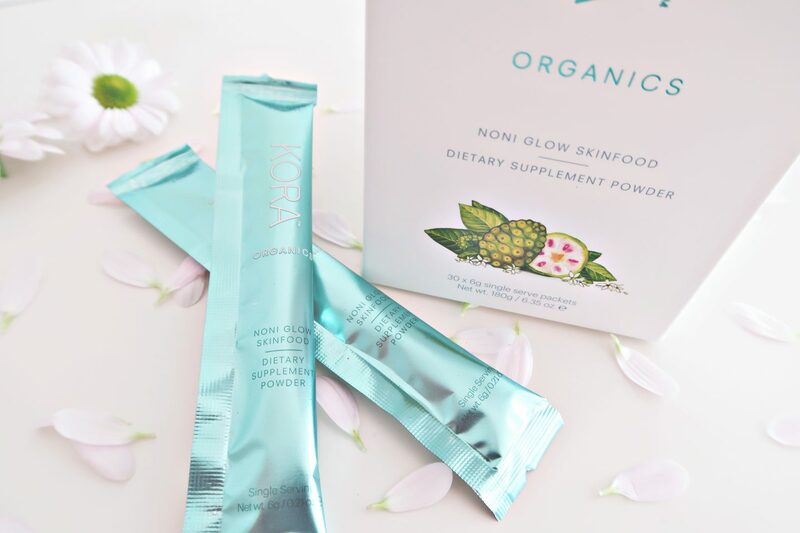 I finally got my hands on some of the newest products from Kora Organics. I have been loving their products for a while, so it was super exciting for me when they launched new products! I´ve been trying out my new goodies for about 8 days now. So this will be a complete review on how I personally find the products to work on my skin. 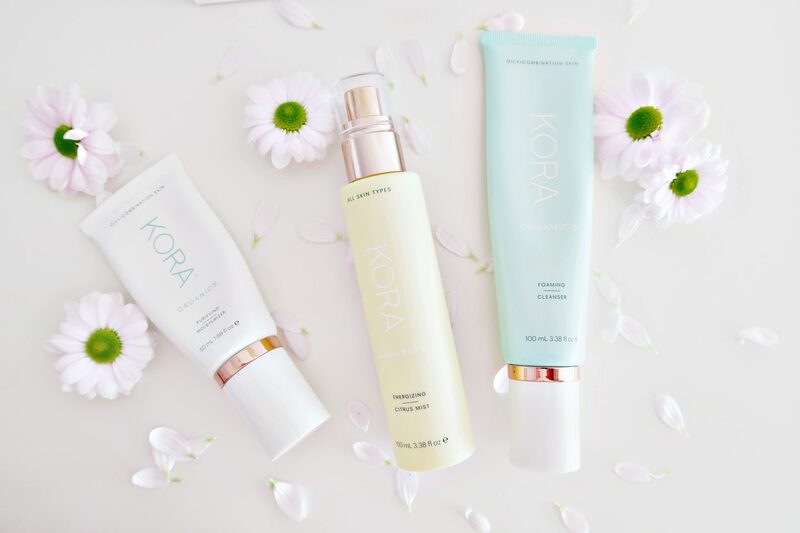 PS: Get 10$ off your first order on KoraOrganics.com if you use this link! I have used this 3 step system before and I really liked it. It looks like they have changed up a few ingredients and made a better version of the old system. And the packaging has gone through a massive makeover as well. 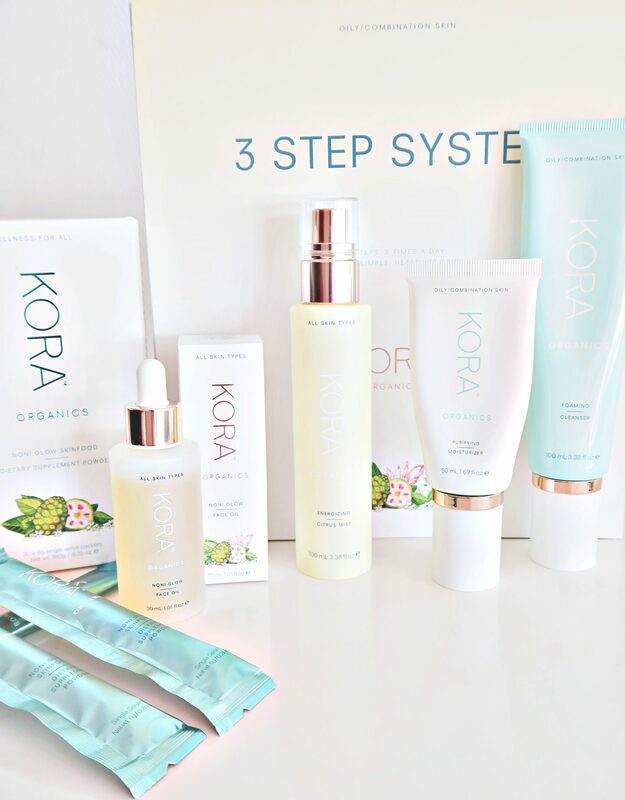 The 3 step system is meant to be used morning and night and It is the foundation for beautiful skin as it balances, renews & beautifies. It´s super simple and makes your skin healthy. I really like the new packaging! I love the gold details and the overall luxury look. The new packaging on the face cream and the cleanser has now a really nice pump, rather than squeeze bottles where it usually came out more product than I wanted and it ended up wasting product. It´s also more hygienic. The products itself are really good and my skin loves them. Now, let´s talk about the new mist spray! Wow, just wow. I know a lot of people have been complaining about it before, myself included did not really like it before. It just was not spraying even on the face, and the spray was just not a hit. But now they have changed it completely, and it´s honestly the best spray mist I have come across. It´s a soft saddle mist. Even if you spray really close to your face, it will have a nice soft touch on the skin. I really like what they did to it! I also like that they have systems for different skin types. So whatever your skin type is they have something for anyone. There´s really not that much that I don´t like about it. Some of the product smells a bit more fragrant than they used to be. But I can´t say if that´s something I don´t like yet. Overall it´s a great skin system anyone should have in their bathroom. I´ve heard a lot about this oil since it´s been launched. So for me to finally get my hands on it was beyond exciting! The noni glow face oil is a treatment oil that is going to smooth, nourish and brighten the skin. It´s known to reduce fine lines and wrinkles. Suitable for ALL skin types. The noni glow oil does really what it’s supposed to do. It gives you a nice glow. It´s not sticky at all. And a few drops is more than enough for the face. That means the product will last for a long time, which is a good thing considering the price. There are some really good ingredients, such as Noni Extract, rose-hip oil, pomegranate oil, and sea buckthorn oil. It smells really wonderful, however, it may be a bit too strong. As I said the smell is too much scented for me. A little too much lavender fragrance for me personally. But I am very sensitive to smells. Overall a really good face oil. Not sticky feels nice on the skin and makes you look hydrated and healthy. I think over time it can make your skin more hydrated and reduce fine lines as it says to do. Definitely using this every day in my routine now and it´s a new favorite. I love it! This is what I was most excited for after the launch! I´ve have been looking for something like this for my skin for a while, so I was sold right away. Noni glow skin supplement is a superfood supplement that will nourish you from inside and out for optimal wellness and your overall beauty. It contains a lot of nutrient-dense ingredients such as noni fruit extract, matcha green tea, acai, and blueberries. I like that it does not taste like noni juice! If you ever have tasted fresh organic noni juice you can probably relate to that it tastes so awful and disgusting. Maybe over time, you can get used to it, but for me, the smell made me not commit to the noni juice thing. Haha. However, I was so pleasantly surprised when I tried this supplement with water. It tastes like strawberries and fruits. I can´t tell there´s noni in there, which is amazing. I will say that it´s so much better in a smoothie than with water though. I also love the fact that it´s in small packets, so I can bring it with me anywhere. I actually really like this. There´s nothing that I don´t like about it. All the ingredients are organic and there´s nothing that I don´t want to have in the ingredients list! This is my new favorite thing. I think if you take this with a balanced nutritional diet and good skin care you can see a difference in your skin over time. 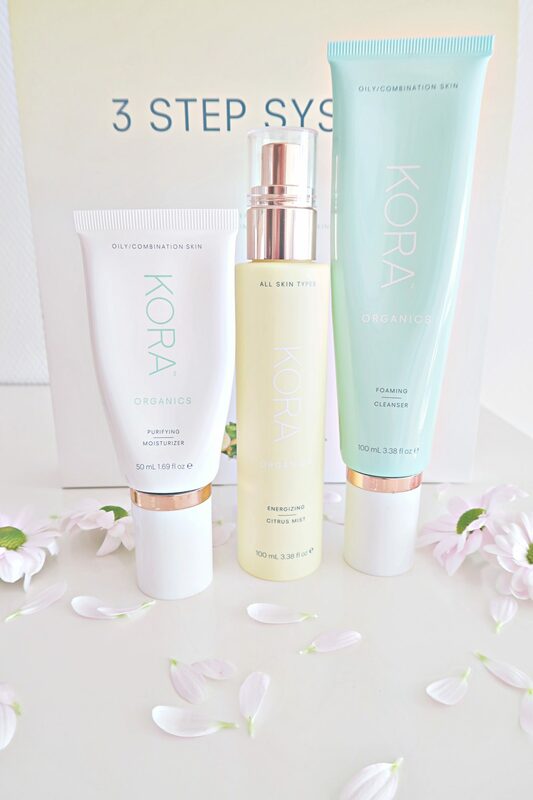 So, that completes my review on the Kora Organics! Overall I love everything that I bought. And I already see a great improvement in my skin after 8 days of trying it out. I hope you enjoy this kind of review. I would love to know if you want more blog post about skin and reviews like this in the future. 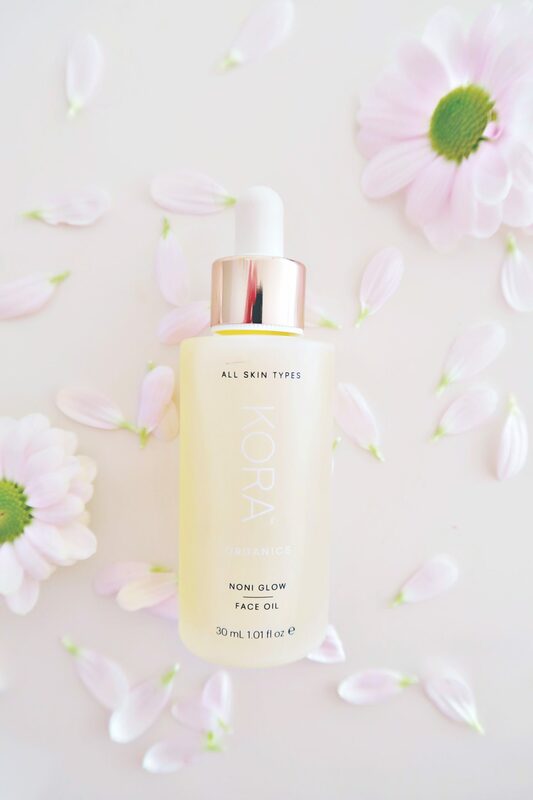 If you have tried anything from Kora Organics before, definitely comment and tell me and everyone else if and what you liked about it. 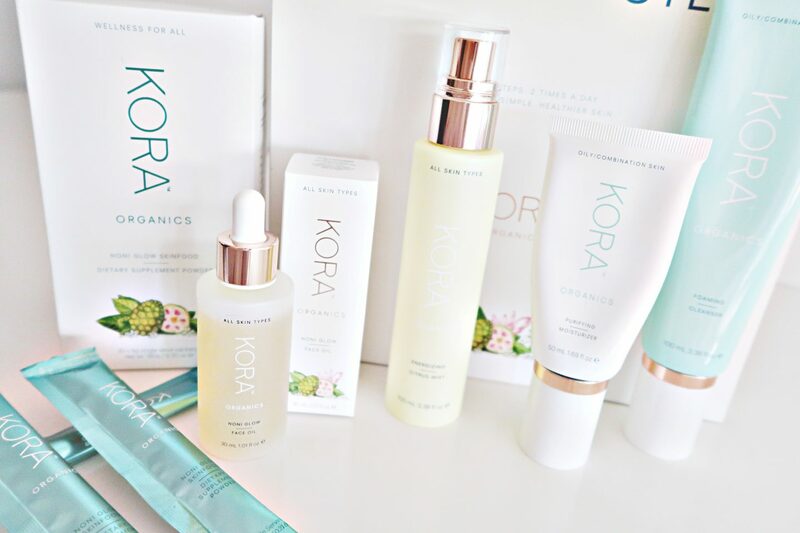 Don´t forget to get your 10$ off your first order on KoraOrganics.com through this link! Next Post Changing My Hair Color? 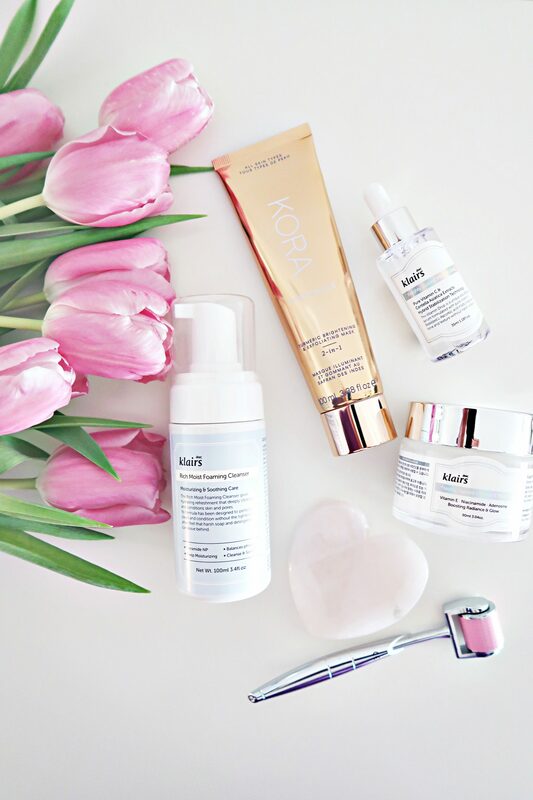 Such pretty pictures of some gorgeous products! Wow this is gorgeous packaging! I agree that the packaging is beautiful. I’m intrigued by the face mist (love them) and will have to give it a try.